At MacArthur Design Inc our goal is to create spaces of lasting quality and that are truly loved. We never adhere to fashion or trends. Our work is never driven by ego and we strongly believe in collaborative solutions. To this end, we see design as fully inclusive process between client, contractors and consultants. The process starts with an exploration of how clients wish to experience their environment. Then, through the continuing process of drawing, modeling and conversation opportunities are explored and vision turns to reality. 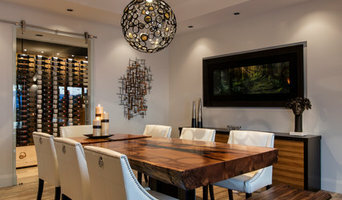 Fowler Interior Design is an established, boutique style, interior design company based in Kelowna and working throughout the Okanagan valley for over 15 years. Inspired by the unique beauty of the Okanagan we focus on authenticity…..offering our clients creative personalized design and quality customer service. Why boutique style? We believe in offering you only what we do best. We focus on the design process….from the concept of a stylish and functioning space, one that fulfills your unique esthetic and function, to the sourcing of products and finishes…cabinetry, countertops, flooring, tile, paint, furnishings and final decorative details. When you work with Fowler Interior Design you get creative and functional design, you get 100% of our attention, and you may even have a little fun in the process. Ian Paine Construction and Design is a full serviced Interior Design firm and members of the Interior Designers Asssociation of BC. IPC also focuses their attention on high-end construction throughout the Okanagan and renovations of all sizes and design schemes. By working closely with clients and demonstrating a commitment to exceptional quality and service since 1976, Fawdry Homes has built a reputation for creating spectacular custom homes that reflect each home buyer's unique personality. As a respected builder, Fawdry Homes just won "Best Builder" in the 2019 Okanagan Housing Awards of Excellence. We have been chosen as a select builder in the prestigious areas of High Pointe, Sheerwater, Woodland Hills, Gallagher’s Canyon, as well as in the beautiful development of Wilden where you can see our award winning show home. The Fawdry Homes showhome opens at 1:00 till 5:00 Saturday through Thursday, located at 1462 Rocky Point Drive, Kelowna, British Columbia. Rael’s love of detail is apparent, as is her thoughtful and sophisticated approach to design. Years of experience have given Rael the opportunity to explore the balance between timeless style and practical function. She thoughtfully guides clients through the thousands of decisions over the course of a project, investing herself as though each project is her own home. Inherently hardworking, approachable, and resourceful; with a strong focus on connecting and listening – Rael enables her clients to expand, realize, and achieve their dreams. Specializing in: Interior Design, Redesign Services, Colour Consulting, Finish Selections, Kitchen Design, Furniture Plans, Space Planning, Exterior Design, Art Selections, DIY'ers In-Home Design Consults with Task Planning, Accessorizing & Decorating. 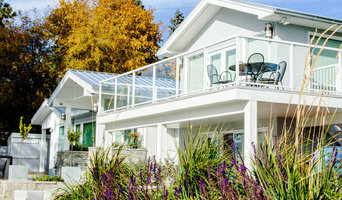 National, Provincial, and local Award Winning Custom Residential Builder and Re-modeler. Servicing the Okanagan & Fraser Valley. Interpretation is an important element in building a home. Every home has distinct details that set it apart. We believe that every home is as individual in character as the people who live in it. Allow us to interpret your dream home! At Okanagan Dream Builders our passion is birthed through interpretation. We desire to bring you the very best in customer service, quality and detail. We believe that having a great relationship with our clients and trades people bring harmony to every site. Our trades people are some of the most gifted and qualified in the Okanagan and teamwork is everything to us. Through relationships the wealth of knowledge that is at our fingertips is made available to you - giving you confidence and perspective in your build. We will walk you through the entire process from design concept, budgeting, to completion. It is our desire to hear you. We realize we are not just building homes... We are building your home! Kelowna based, residential interior designer with specialties in window coverings, space planning, floor plans, furniture and decor selection and home redesign. Make the most of what you have, great design doesn't have to be costly. Are you getting ready to sell your home? It's a proven fact that staged homes sell faster and for more money. We will work with you to get your home looking great, a home that will appeal to multiple buyers. 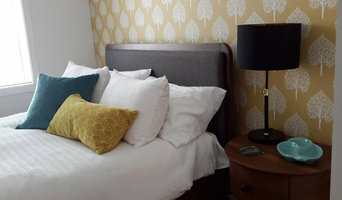 A unique client experience from a trained and professional interior designer that is qualified and capable of meeting the needs of discerning clients with high expectations. Access to a wide and unique selection of fabrics,furniture, accessories. Hunter Douglas Window Products from our specialist who will ensure you have the right window coverings for your windows. Weninger Construction & Design Ltd. has been specializing in custom design builds since 1989. To ensure our clients have the best experience possible, our team provides exceptional customer service throughout the design and build processes. We pride ourselves on the quality of our work and it is important to us that you are satisfied, no matter how large your project is. Weninger Construction & Design offers you the option to use our design and build services separately. We also offer a consulting service to assist you on your development, design and builds as you need. Weninger Construction & Design has experience in: - Custom 3D Drawing & Design - Custom Home Building - Commercial Building - Renovations - Specialty Projects Dedicated to quality, care & craftsmanship Weninger Construction is focused on building your dreams. West Bay Construction is a custom home builder and renovator located in the Okanagan Valley, British Columbia, Canada. West Bay Construction continues to build on past successes and boasts a referral client base for renovations and new home construction. Founded by Cliff Oughtred, West Bay Construction is now owned and operated by Cliff’s protege, Duncan Robinson, whom Cliff has mentored for the past six years. Duncan Robinson, a journeyman carpenter, has years of hands-on experience. In his various roles, he has managed projects, prepared estimates, worked closely with scheduling and securing sub contractors as well as overseeing all construction staff. In so doing, he has always strived for client satisfaction working closely with the project owners, honouring their requests and guiding them in their vision to meet their needs. This experience and commitment to client satisfaction carries forward today in the work of West Bay Construction. West Bay’s ability to listen, clarify and make suggestions to their clients allows them to complete their projects with efficiency, timeliness and above all – professionalism. Projects large or small all receive the same attention to detail, bringing quality to each and every project regardless of scope. West Bay Construction’s crew and dedicated tradespeople enhance the company’s success through the application of their own skills and unique talents. Like Duncan, they are respectful to the client and take great pride in their work. Combining Interior Design with Wood Work detailing is my strength. Applying design philosophies for my Client's specific vision is my trademark. Passionate of my craft, I incorporate 'Great Design', with 'Great Materials'. Sourcing the best 'room specific' products for Clients in the Okanagan and Clients worldwide. I love to combine aesthetics, utility, organization and detailed planning to create beautiful and functional spaces. This process of Integrating innovative design with award winning work and exceptional global products is the result of varied and exciting projects and striviing for an exceptional "Client" experience in homes across Canada and USA. Many wonderful people are part of this journey. From Client intake to completion, amazing vendors and a team of dedicated professionals, ensures effective execution of the project planned. Please contact me for your next project.